Join us for August’s edition of Rick Bisio’s Franchise Focus. We will be devoting this month’s show to an interview with special guest Deb Evans. 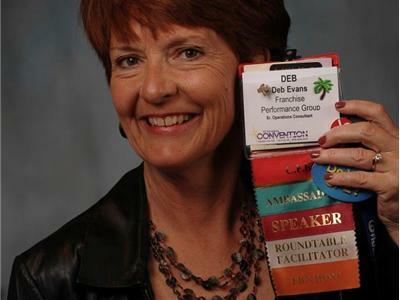 After more than 16 years as a franchisee and franchisor, Evans established Deb Evans Consulting to help educate and train franchise industry leaders. She is co-author of Developing Peak Performing Franchisees. Listen in as Deb shares her experiences as a franchisee, franchisor and supplier and talks about how to create and strengthen a franchise culture with strong internal loyal teams.